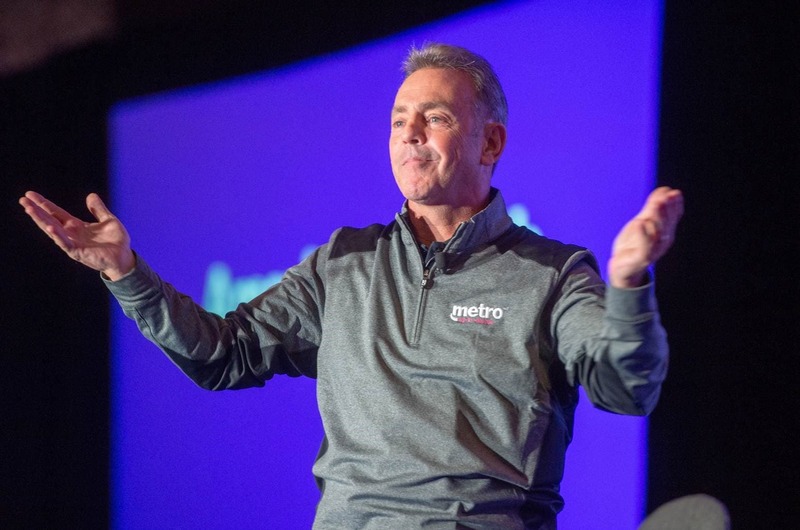 What’s the news: MetroPCS is becoming Metro by T-Mobile and introducing two new all-unlimited rate plans with tiers that include the many benefits of Amazon Prime and Google One. Why it matters: The prepaid category suffers from outdated perceptions, and as a result, millions of wireless customers overpay Verizon and AT&T for wireless service because they’re not aware things have changed. Who it’s for: All the wireless customers – and there’s lots of them – who think prepaid is synonymous with limited coverage, cheap flip phones or bad credit. Those days are gone at Metro by T-Mobile. Bellevue, Washington – September 24, 2018 – It’s time to rethink wireless. 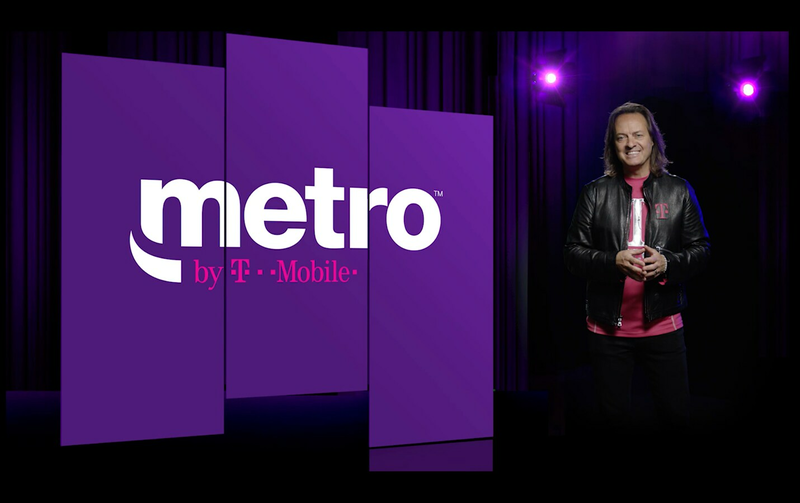 Introducing Metro by T-Mobile (NASDAQ: TMUS) – a new brand and new mission to give value-conscious consumers a trade-off free wireless experience. Metro by T-Mobile launches next month with new all-unlimited plans, including a tier that features Amazon Prime, making it the only U.S. prepaid wireless brand to include all the shopping and entertainment benefits of Prime…and, the first and only wireless brand to include Google One, a subscription with expanded cloud storage and mobile backup. And because Metro by T-Mobile is T-Mobile, you get the latest and greatest Android and iOS smartphones on the same advanced network that covers 99%1 of the population. Whether you pay at the beginning or end of your billing cycle doesn’t matter. It’s the value of the service and the network that matter most. In the past, being a prepaid customer meant subpar devices, service and coverage. No more. Metro has been quietly changing the prepaid landscape for years, and wireless users have noticed. In the past five years, the number of people choosing Metro has doubled. The coverage is massive. Metro used to cover just 103 million people in 2013. Metro by T-Mobile covers more than 323 million people, 99% of people in the U.S1! The phone selection is primo. Metro used to just offer a few handsets. Metro by T-Mobile offers a wide variety of both Android and iOS smartphones for every price point, including the absolute latest releases. The reach is nationwide. Metro used to operate in just 15 cities. Metro by T-Mobile launches nationwide with more than 10,000 branded retail locations – more than any other wireless brand – that serve as local customer help centers, in addition to places to shop for new plans and phones. When the network gets busy in a particular place, Metro by T-Mobile customers may notice a difference in speed compared to T-Mobile customers, but otherwise, they get the same T-Mobile network. The highest tier of the new Metro by T-Mobile plans will now include Amazon Prime, giving customers the best of shopping and entertainment from Amazon including Prime FREE One-Day Shipping and Prime FREE Same-Day Delivery in more than 8,000 cities and towns and unlimited free 2-day shipping on more than 100 million items. Prime members enjoy unlimited access to award-winning movies and TV episodes including Emmy-winning The Marvelous Mrs. Maisel, critically-acclaimed Tom Clancy’s Jack Ryan, and Academy Award-winning Manchester by the Sea with Prime Video, and Prime Music which offers members unlimited streaming and ad-free listening to today’s best-selling artists with access to two million songs. Plus, members can get deep discounts on select popular products at Whole Foods Market and an additional 10 percent off hundreds of sale items. And if that wasn’t enough, Prime members also receive unlimited free photo storage with Amazon Photos. Metro by T-Mobile is the only wireless provider to offer plans with Google One. Google One is a plan that gives you expanded storage that you can share with your family, direct access to Google experts and other members-only benefits across Google – and, it comes with mobile backup so you can securely back up your phone’s photos, videos and multimedia messages sent via Android Messages. To kickstart the new Metro by T-Mobile, the company is launching a ‘That’s Genius’ campaign, coming soon to a screen near you. Because what’s more genius than picking a trade-off-free wireless service that includes a network that covers 99%1 of people in the U.S. and all of the amazing shopping and entertainment benefits of Amazon Prime, mobile backup and cloud storage from Google One. Oh, and all that for an insanely low price that includes taxes and regulatory fees. And starting soon, the geniuses amongst us can make the switch by visiting one of more than 10,000 Metro by T-Mobile stores across the country. Unlimited plans. Amazon Prime. Google One. Metro by T-Mobile. Now that’s genius. 2 Savings claim based on 2 lines on $50 Metro plan vs. Verizon Go Unlimited and AT&T Unlimited & More and 2 lines on $60 Metro plan vs. Verizon Beyond Unlimited and AT&T Unlimited & More Premium without autopay discount including taxes/fees. Features on plans, including video resolution, mobile hotspot, and included entertainment and international services, vary. On all plans, during congestion, the fraction of customers using >35Gb/mo. may notice reduced speeds until next payment cycle due to prioritization. Video streams at 480p. Capable Android device required for Google One registration and backup services. As America’s Un-carrier, T-Mobile US, Inc. (NASDAQ: TMUS) is redefining the way consumers and businesses buy wireless services through leading product and service innovation. Our advanced nationwide 4G LTE network delivers outstanding wireless experiences to approximately 75.6 million customers who are unwilling to compromise on quality and value. Based in Bellevue, Washington, T-Mobile US provides services through its subsidiaries and operates its flagship brands, T-Mobile and Metro by T-Mobile. For more information, please visit http://www.t-mobile.com or join the conversation on Twitter using $TMUS.